Prenatal care is essential to ensure the health of a pregnant woman and her unborn child. 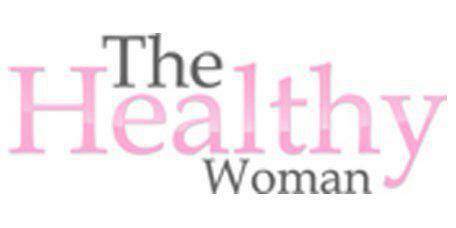 Dr. Jocelyn D. Slaughter of The Healthy Woman offers prenatal care to women in Snellville, Georgia. Patients who are interested in this service should contact The Healthy Woman to make an appointment with Dr. Slaughter. What is the purpose of prenatal care? The purpose of prenatal care is to monitor a woman’s pregnancy from the beginning to the end and ensure that both the mother and baby are as healthy as possible. Throughout prenatal care, Dr. Slaughter provides education and support to the mother while also looking for signs of complications that may require treatment. What happens during prenatal care appointments? During each prenatal care appointment, a member of the staff at The Healthy Woman takes the patient’s vital signs, including blood pressure, temperature, and heart rate. The staff member also weighs the patient. Dr. Slaughter examines the patient, and may also measure the size of the uterus and/or check the patient’s cervix. Depending on the stage of the pregnancy, the mother may be able to listen to the baby’s heartbeat during a prenatal care appointment. How often are prenatal care appointments necessary? Women should begin having prenatal appointments at the beginning of their pregnancy. These appointments should continue until the baby has been delivered. At the beginning of the pregnancy, appointments will be less frequent for most patients. As the patient’s pregnancy progresses, she will need to see Dr. Slaughter more often. At the end of the pregnancy, the patient may need several appointments each week. In some cases, more frequent appointments may be required earlier in the pregnancy. For example, if a woman has a complication, such as gestational diabetes, she may need more intensive monitoring during the pregnancy. Does Dr. Slaughter offer ultrasounds? Pregnant women will receive ultrasounds throughout their pregnancies. Some women may require ultrasounds more often than others. Dr. Slaughter can provide more information about ultrasounds at the beginning of the pregnancy. What can women do to ensure a healthy pregnancy? Women can improve their health during pregnancy by following Dr. Slaughter’s instructions carefully. Patients should avoid smoking and drinking alcohol. They should also eat a healthy diet and take prenatal vitamins daily. Women who have questions or concerns during any part of the pregnancy should contact Dr. Slaughter. At The Healthy Woman, we accept most major insurance plans. Here is a short-list of just some of the most popular plans we accept. Please contact our office and ask for Johnica if you do not see your insurance provider listed here.